Humidity-controlled environment protects belongings from moisture damage typical to middle Georgia. 24-hour day/night video surveillance of driveways, entry, and exits protects you and your belongings. 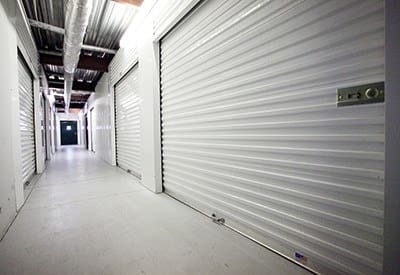 We suggest CONVENTIONAL STORAGE for most outdoor or garage-kept equipment and materials or items not easily damaged by humidity, mold, and mildew. Drive-up units feature ease of access and loading convenience. Extra-wide 22’ concrete driveways provide abundant turning radius for cars, vans, and trailers when accessing units. All units feature a recessed moisture lip preventing rain from entering unit. State-of-the-art, spring loaded, roll-up doors provide lightweight ease of use for raising and lowering. 24-hour day/night cameras monitor driveways, entry, and exits, providing a safe and secure environment.